Shocked by Divine Communication Barbara shares what resulted in immediate reversal of suicide plan. If you have ever wondered why someone who seems to have everything to live for suddenly takes his or her life, or how someone with so much zest for life chooses to end this incarnation Tempted by Death delivers spellbinding answers from the deeply personal memoir of Dr. Barbara Rose. She took down the walls of humiliation and shame to bear all for you and anyone who ever thinks death is an escape or the end of emotional agony. Shocked by Divine communication, Barbara shares what she was told that resulted in an immediate reversal of her own decision to take her life. Whether you feel as if you no longer want to be here, or are interested in this topic you will receive authentic truth, awareness and fantastic realizations from a person who has been through this whole process firsthand resulting in this groundbreaking book. It brings you the purest transformational perspective that saved Barbara’s life and has the potential to deter suicide for humanity in every part of the world. 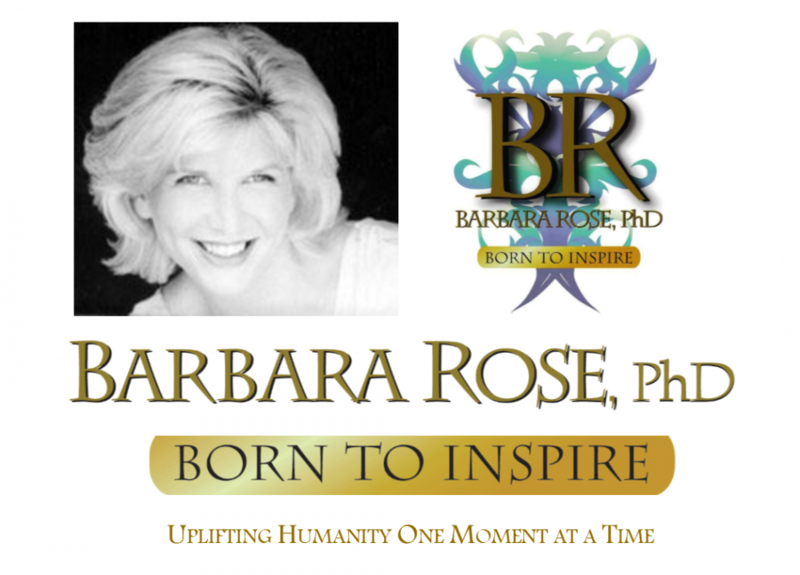 Dr. Barbara Rose, most widely known as “Born To Inspire” was born in Bayside, New York. She attended Franklin College in Lugano, Switzerland, was an honor student at American University School of International Service in Washington, D.C., and was inducted into Kappa Tau Alpha National Honor Society for Journalism and Mass Communication. Dr. Rose is the bestselling author of twenty five books, a world renowned Life Transformation Specialist, and one of today’s most loved and respected spiritual teachers. As Founder of International Institute of Higher Self Communication merged with Global Life Transformation Institute she shares the nondenominational process of receiving answers from God, transforming the lives of millions across the globe. Her highly acclaimed work is widely sought after and published internationally with subscribers spanning over 190 countries. Her official website is BornToInspire.Com.